Incised signature - does anyone recognise it? 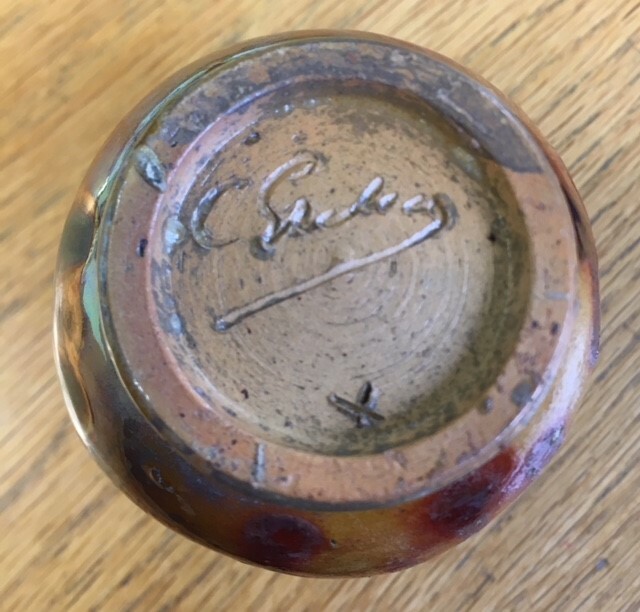 I have this rather nicely glazed (well I thought it was) vase that is very confidently marked to the base with the photographed signature, only thing is I can't work out who it's by! Can anyone help? I'd love to know. Re: Incised signature - does anyone recognise it? We will need to see pictures of the pot also please. There is an Eardley Brothers pottery in Utah, USA.